A member of the Louisville team that won the US NCAA championship in 2013 is set to reinforce the Mahindra Floodbuster in the PBA Governors Cup that kicks off on July 19. 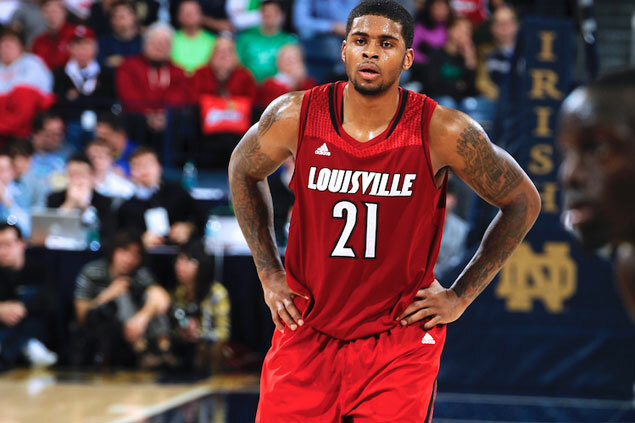 Chane Behanan, who played major minutes under coach Rick Pitino during the Cardinals’ championship run, arrived last week to serve as import of the franchise that will carry the brand name KIA Picanto in the season-ending conference. Behanan was the team's second choice behind Brandon Beastly, but deputy team manager Jo Ramos said the import's inside game is exactly what the team lacked in its previous campaigns. “OK din naman si (Brandon) Beastly, but more on the wings kasi ang laro niya and masyado na kaming maraming players in the same position,” Ramos told SPIN.ph before leaving for Sydney, Australia for a brief vacation. Behanan played two-and-a half seasons with the Cardinals, twice reaching the Final Four during his stint and was part of the championship team during his sophomore year. He averaged 9.8 points and 6.5 rebounds and 26 minutes of play that same season. Unfortunately, he left the team – and subsequently the school - during his junior year for violating a university policy, according to Pitino. The 24-year-old Behanan, who is listed at 6-5, later enrolled at the Colorado State University, but didn’t play for the school after he declared for the NBA draft in 2014. He was left undrafted, however. But he did end up high in the NBA D-League draft that same year, when he was picked 14th overall by the Rio Grande Valley Vipers and played for one season. Behanan later suited up for the Reno Big Horns and the Salt Lake City Stars. The native of Cincinnati, Ohio also had stints in Mexico and Puerto Rico. KIA Picanto playing coach Manny Pacquiao was shown video highlights of Behanan’s playing career, both in college and in the pro, while in Brisbane, Australia for his welterweight title fight against Jeff Horn. “OK naman kay boss. Sabi niya basta makakatulong sa team,” he said. Ramos also disclosed lead deputy Chris Gavina will continue calling the shots for the team, contrary to speculations he’s on the way out. At the same time, long-time consultant Joe Lipa is going to have a more active role in his involvement with the team, according to Ramos.